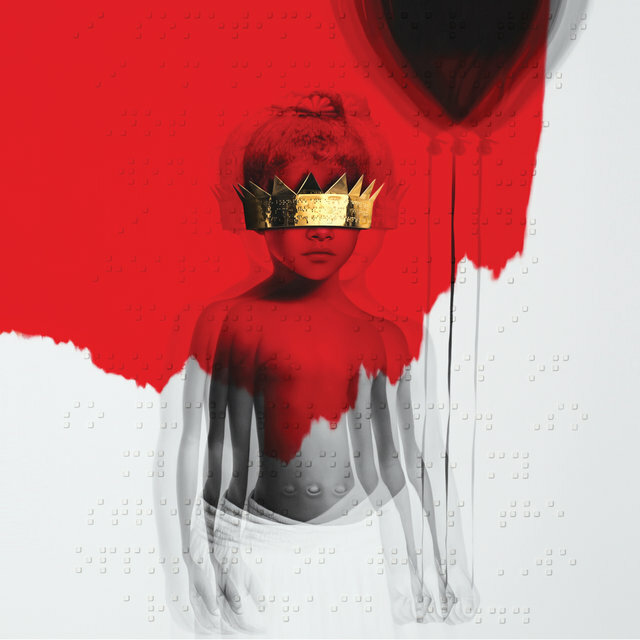 Songs like Kiss It Better embrace Rihanna's inner-Miguel, with a solo electric guitar emphasizing Rihanna's thirst for sexual release, while Rihanna works a double entendre in the Drake backed "Work," with the song also asking for sexual fulfillment, but after a year of headlines swirling around ANTI, it could also be addressed to her fans and the media: "What can I say? / Please recognize I'm tryin', babe! / I have to / Work, work, work, work, work, work." In all of this, the album feels remarkably rushed. The first half of the record sets an electronic-r&b atmosphere, while the latter half seems to fall into a mix of styles unidentifiable to Rihanna, and feels much more like an effort to recreate sounds found on critic's 2015 year-end lists. Take for instance "Never Ending," which could (ignoring the weaker lyrics) find a placement on Lord Huron's Strange Trails, and even emulates a happier twist on Sufjan Steven's Carrie and Lowell. Or the lackluster organ backed blues ballad "Love On The Brain," which showcases Rihanna's inexperience at the form. The most blatant sin however, is the Tame Impala cover creatively hidden under the title of "Sale Ol' Lies" (as opposed to the song's actual title "New People, Same Old Lies"), which is a blatant exposure of ANTI attempting to recreate the critical success of Impala's hailed album Currents. Oddly enough, the album shines when it's the least "anti" anything, with the spectacular closing ballad "Close To You" crushing 2012's "Stay" with its emotional weight and understated instrumentation. ANTI is at its best when Rihanna isn't trying to impress the audience she hasn't tapped into yet in her decade long career, and falls flat in its most desperate attempts to gain new fans. When Rihanna doesn't care, she's the most genuine. When she exposes her weaknesses and insecurities while simultaneously trying to hide them, ANTI loses its bravado.